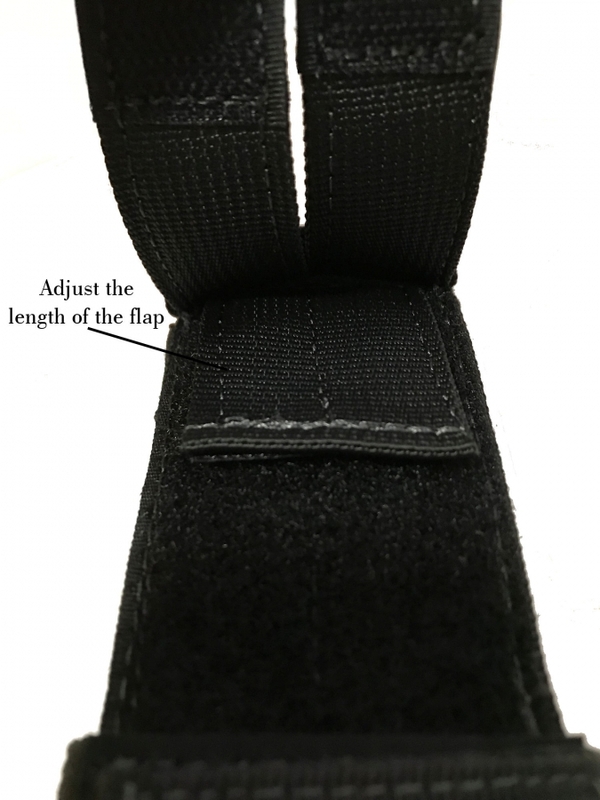 The closure flap will adjust for longer items using Hook and Loop on the back side. 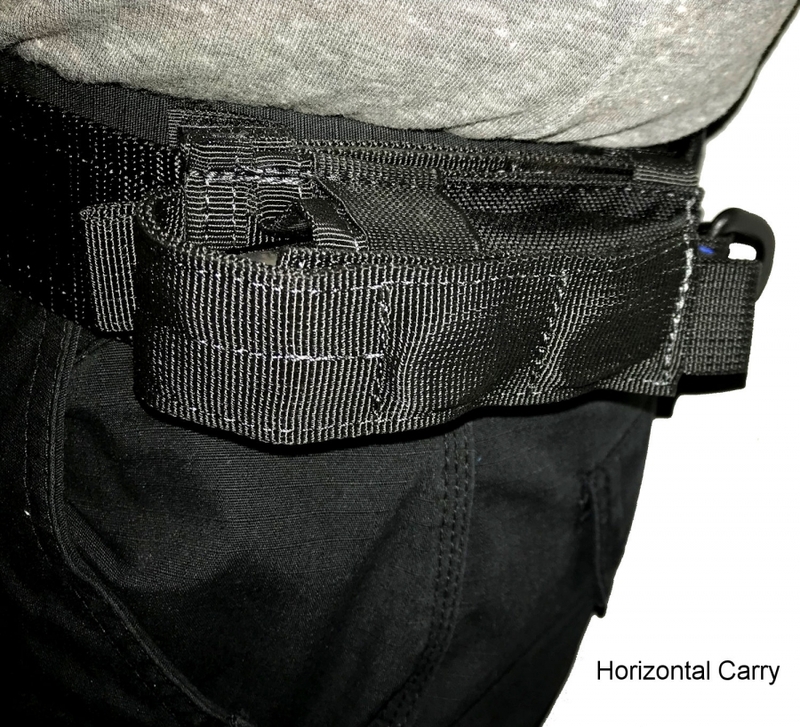 Maximum Tool Capacity: Pouch size is 4″ deep 1.5″ wide. 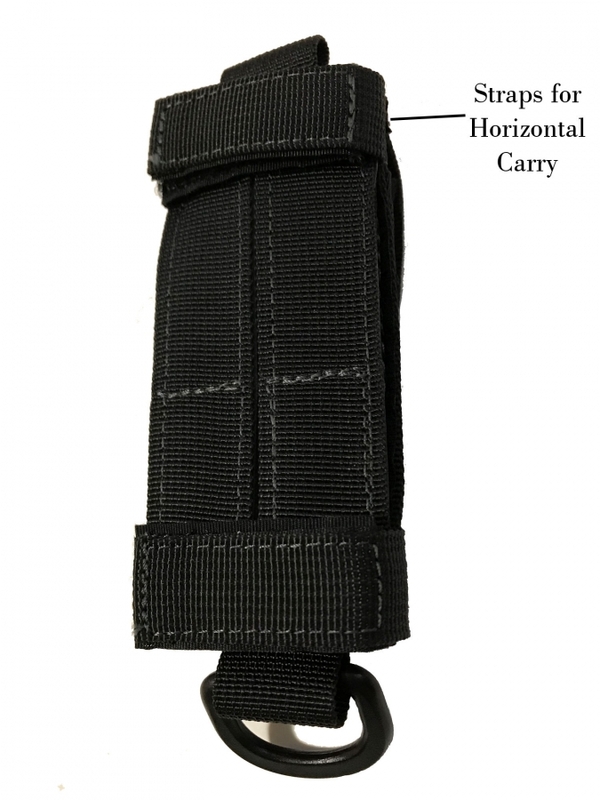 It can expand to 2″ wide and 5.75″ long. 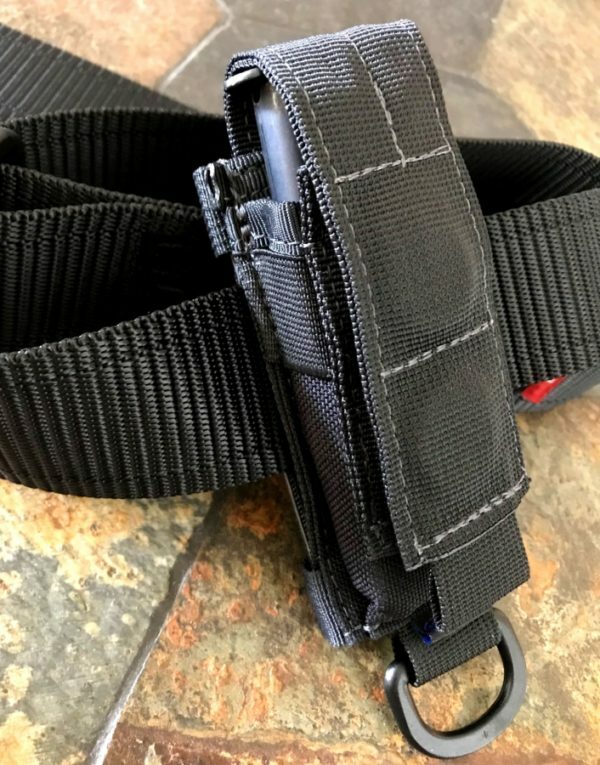 This replaced my leather carry case for my Laetherman. I am very hard on my equipment and immediately I am impressed with the durability. The strong stitching and reinforced seams are a mark of high quality in construction. The Nylon is thick and durable too. When worn on the belt it ports high which may be an issue for those with a belly. 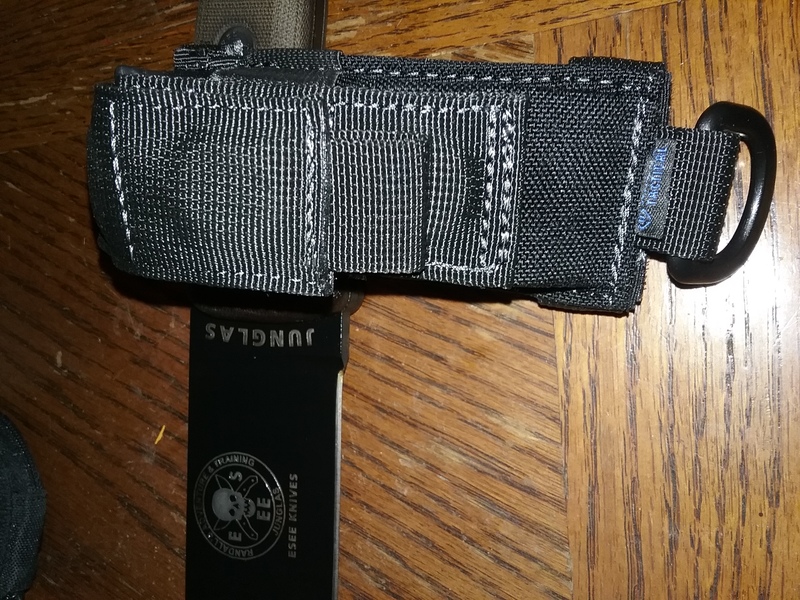 However the MOLLE allows the sheath to be worn sideways avoiding this. Solid Velcro bind too. Worry free. I have worn it since it arrived and it takes abuse without marring the appearance. 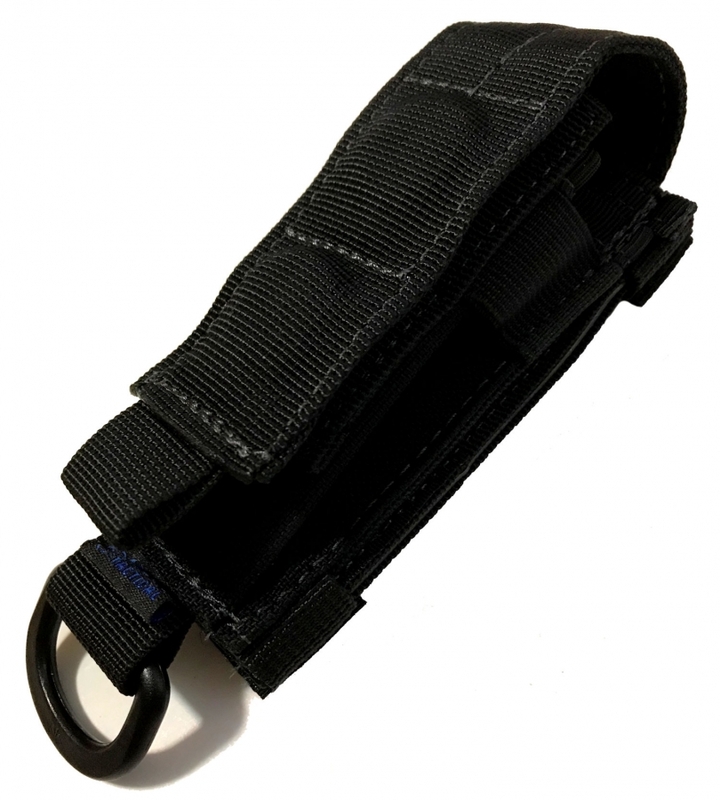 The nylon doesn’t fray or split when abraded by movement against a solid objects. For fellow bulls roaming through this china shop we call Life, expect this carry case to match your mettle. Professional too. And the magnets! Very strong magnets that assist in keeping tool in sheath. Flap closes easily when released and will attract keys and metal objects that are close to it. Do not put credit cards around these magnets! Very strong! Highly recommend for anyone looking for an epic Leatherman tool carry case. 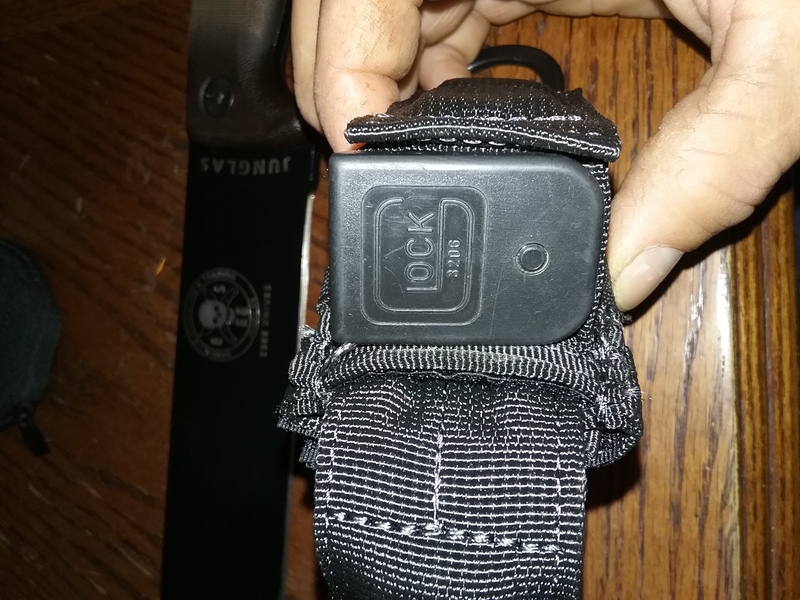 Already a staple in my EDC. 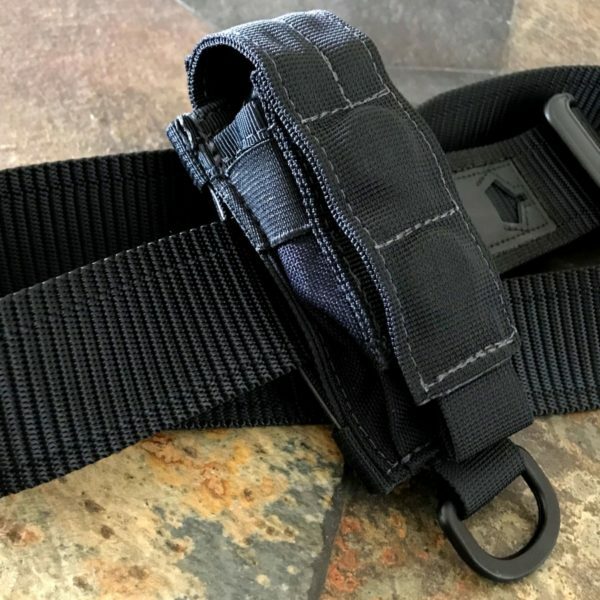 The pouch is a solid piece of equipment. I really like the double magnet closure. 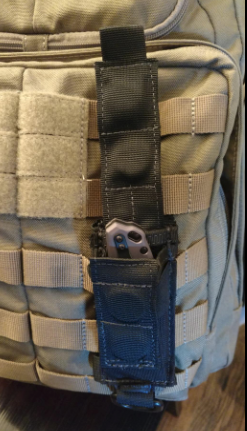 This pouch is a perfect fit for my Glock magazines. Fits mags for my G30, and my G26. Magnets are very strong, strong enough to stick to my gun safe from the outside with a full magazine.